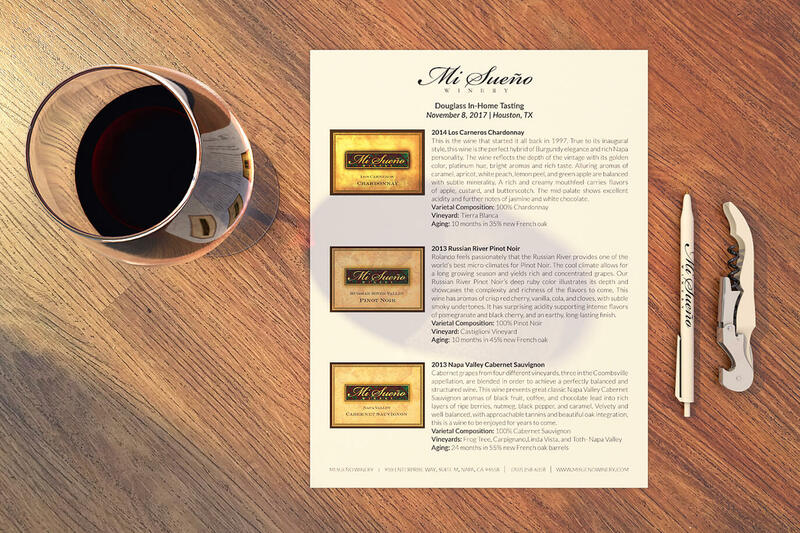 Invite your friends and family to share in your love for Mi Sueño Wines! Our team will recreate our tasting room in your home and provide a fun and educational wine tasting experience. We will provide complimentary wine for up to twenty people and guide everyone through a comprehensive tasting. Your guests will be able to purchase their favorite wines at the conclusion of the event which we will ship directly from the winery. We want to give you and all your guests the taste of the Mi Sueño good life, so we will be extending our member discount of 15% off all purchases. *Currently available in Southern California only. Please contact us for details. There Is No Tasting Fee! We ask for a minimum case purchase from your group, collectively. There is no tasting fee charged and we will cover all travel and accommodation costs. Your guests can order any combination of wines they want and we will ship it directly from the winery to them. 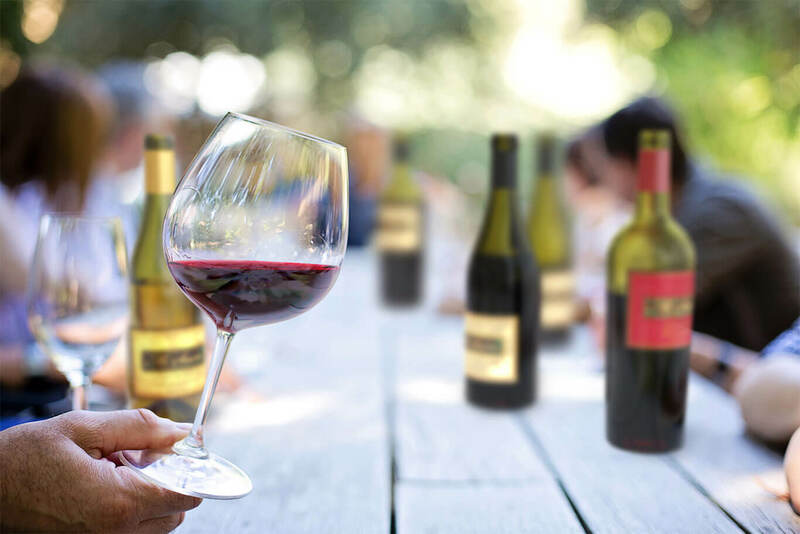 In exchange for buying wine you are sure to love, you get a personalized wine tasting experience in your home with no other costs! We will provide the wine and educational materials for your guests. We allot up to three hours for your tasting experience. We ask that you provide wine glasses and a venue. While we cannot provide any food, we can assist with pairing our wines with your menu. Typically, hosts will provide light appetizers for an afternoon tasting or a dinner for an evening tasting.